Responsive web design or RWD is a collection of techniques that allows a website to adapt to the size of screen it’s being viewed on ensuring your user gets the best from your website, regardless of the device they are using. So your site will appear to be the same on a smartphone and a laptop but the site will have noticed the constraints of the different devices and automatically reformatted the screen view to give the user a better experience. The days of zooming in and out of text on a website viewed on a mobile device are over. Responsive web design also takes into account the interaction a user will have with your website and makes the site easier to navigate with slides and touch screen. Why Should My Website Support the Multi-Device User? Visitors that visit your site will do so on a huge variety of devices. Not only that, but returning visitors may revisit your website on a different device. To best support your users’ experience the sites must work well on any device or screen size, and your users must be able to access the same information on any device to best support their experience with your website. Do I Need A Mobile Only Site? The mobile only approach is when your website recognises which device a visitor is using and if it is a mobile, redirects the visitor to a mobile-optimized version of the site. A responsive website is much preferred over separate websites for desktop displays and mobile phonesas it is hard enough to keep one website updated and relevant. In addition most mobile-only sites feature a small subset of content and features found on the normal site version. Consistency and clear messaging is imperative for a positive user experience. Will A Responsive Website Improve My Search Engine Rankings? Google does reward sites that are built responsively for multi-device support, so responsive web design is now an important attribute to any search engine optimisation strategy. Will A Responsive Website Be Future Proof? A responsive website will give you the best chance to support newer devices and screen sizes in the future. 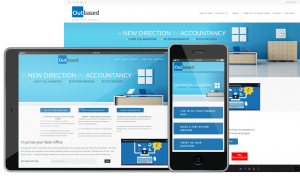 As users adopt the next new device the fluidity of a responsive website allows for the scaling up or down to best fit the screen sizes being used to access your website. So, responsive websites will already be prepared to meet those new devices with a design and experience best suited to whatever screen sizes are brought onto the market.